Fairly typical Hudson Valley scene taken at the Rockefeller State Park Preserve. Very serene. 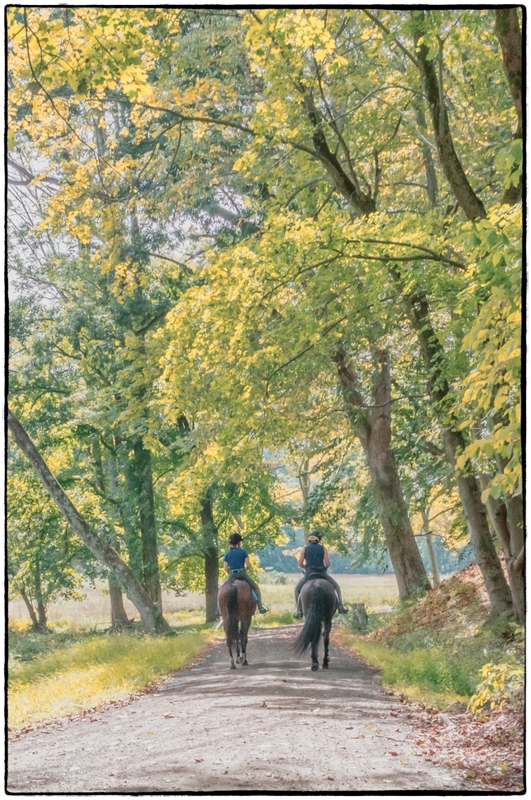 I like the way the trees frame the riders and the park landscape in the background and the way the path (probably an old carriage trail) leads the eye to the horses and their riders. The know size of the horses/riders also gives a sense of scale, emphasizes the height of the trees.